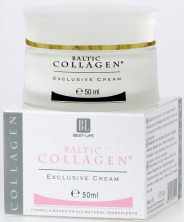 Baltic Collagen™ Face and Neck Gel is made by a highly specialized & unique process. 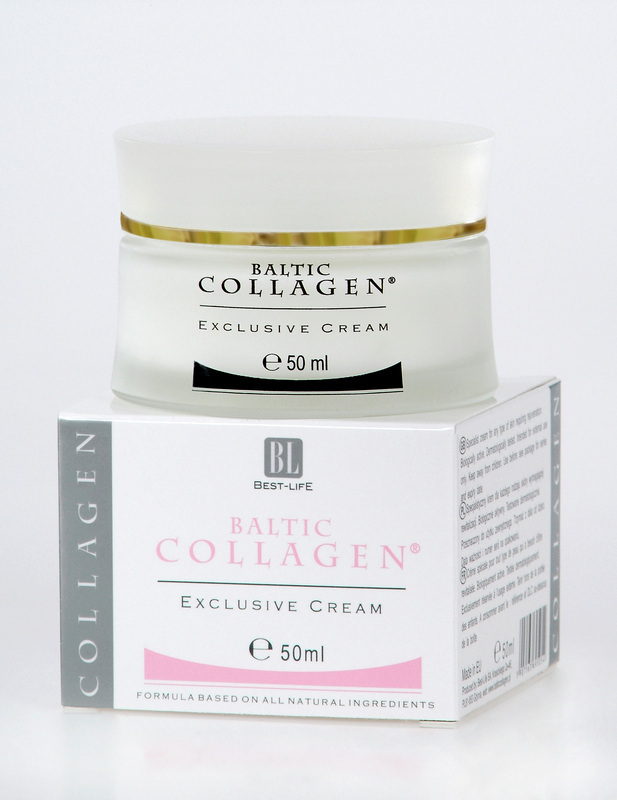 The collagen is extracted carefully by hand and subjected to repeated micro-filtration at low temperature until the collagen is 100% pure and micro-refined. 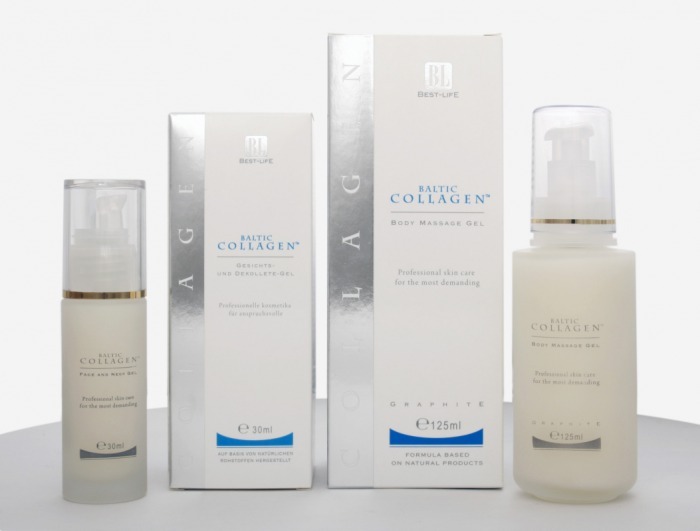 This process preserves the structural & bio-active integrity of the collagen molecule, which ensures easy trans-dermal absorption & optimal effectiveness. What you are ordering is no ordinary cosmetic; it is a biologically active collagen protein that strives to unify with the existing collagen protein configurations in the skin. Since stifling protein breakdown is the only way to prevent aging, reinforcing protein configurations is the most effective means to that end. That is why this new anti aging product works beyond your greatest expectations for anti aging. 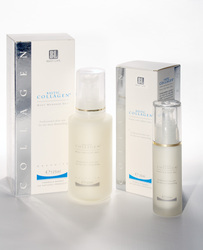 From the moment of application, your complexion will look radiantly alive and feel notably smoother and firmer. This Biochemically active collagen compound is loaded with all the distinguishing features of the former trans-dermal gel, yet combined with specialized moisturizing emollients to ensure unrelenting hydration. 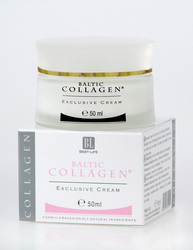 Specially designed and just released by research and development, this collagen cream as an anti aging product ensures that there is no need to consider the best moisturizer to complement your skin treatment regimen. As the moisturizing emollients deploy, they optimize hydration without compromising the degree of efficacy obtained from bio-active collagen. Empirical research shows that oxidation reactions from free radical damage dry the skin out over time. Inversely, dry skin is also shown to cause premature aging. 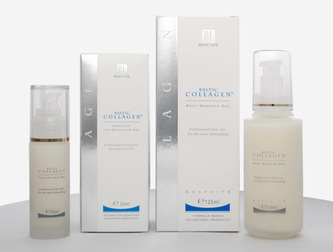 This preparation is specially formulated for those with demanding hydration needs related to anti aging. 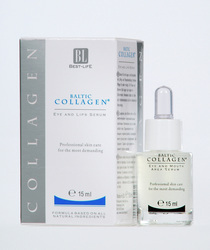 Just released by research and development Baltic Collagen™ Eye and Lip Serum is a technologically advanced anti aging product of high quality, designed to address the multi-factorial signs of aging in delicate areas of skin. Collagen in this preparation undergoes an additional step in the refinement process to yield an ultra-hydrating, pure collagen type I, trans-dermal product that elicits dramatic results. 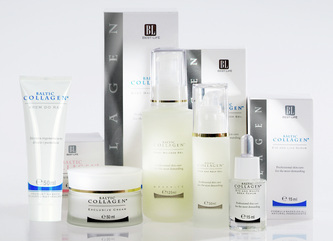 Fragile areas of skin are more predisposed to the formation of wrinkles, fine lines, and sagging because delicate areas are inherently thinner (less resistant to creasing), less firm, and yet equally exposed to the cumulative damage incurred through years of stress, solar radiation, free radical damage and pollution. 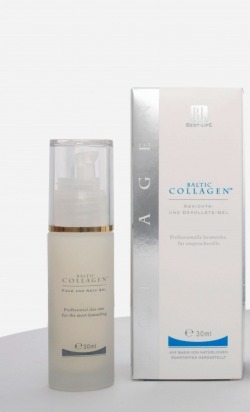 As one ages the overlapping effects of producing less collagen combine with the loss of elasticity in collagen and elastin proteins, resulting in the inability to maintain firmness. More particularly, swelling and puffiness, combined with the loss of fat under the eyelids (and the under-eye area) attribute to drooping. The symptoms of aging in delicate areas of skin continue to get worst unless corrective action is taken, that is why this anti aging product is specially formulated to meet the demands of delicate skin.